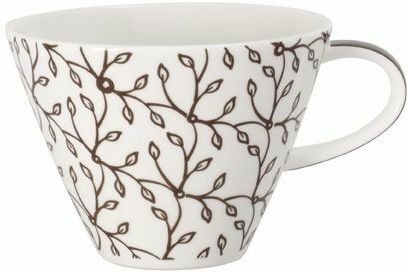 Caffe Club Floral mocha white coffee cup. This Caffe Club coffee cup, has a subtly modern shape with bold mocha-brown colouring. Ideal for white coffee but can be used as a breakfast cup. Made of premium porcelain and dishwasher safe.